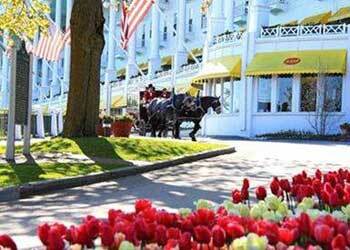 Grand Hotel's Annual Labor Day Weekend Jazz Concerts--jazz on Mackinac Island! Sunday morning and evening performances by Rachael Davis. Sunday afternoon performance by Branford Marsalis. All Weekend with Duffy Jackson in The Jockey Club and Paul Keller in The Cupola Bar.